I'm all for kind deeds, especially during the holidays so I'm proud to share with you some gift ideas that also give back. "Heart of Haiti" is a “Trade, Not Aid” initiative launched by artist and social entrepreneur, Willa Shalit, The Clinton Bush Haiti Fund and Macy’s. Each item in this line is a one-of-a-kind design and hand-crafted by a Haitian master artisan using raw materials like recycled oil drums, wrought iron, papier-mâché and stone or in the case of this review, cow horns. Although, Haiti is the poorest country in the Western Hemisphere, people attempt to improve their lives through employment. The idea of “Trade, Not Aid” provides artists with an opportunity to make a living feed their families and pay their children’s school fees. The Heart of Haiti collection has already led to the employment of 450 artists in Haiti and as a result, providing financial benefits for an estimated 4,000 to 5,000 people in the country. Featuring more than 40 home decor items, accessories, vases, candleholders, clutch purses and so much more! This holiday season, haring a 'gift that gives back' is a great way to raise awareness and celebrate artistry and regrowth. Most items fall in the range from $25-$60. So I had a hard time choosing which item to review from this line as they were all quite gorgeous. In the end, I couldn't help but to choose the Horn Warrior Bracelet. This item is such a chic, bohemian accessory and it is just beautiful. 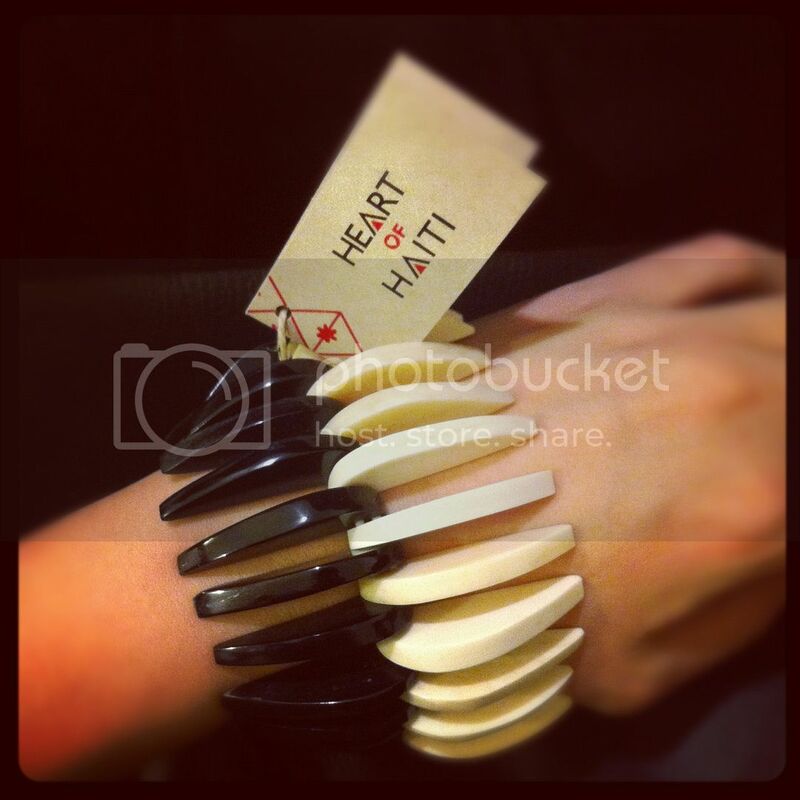 Made from cow horn, these Heart of Haiti bracelets bring bold style and new meaning to unique. Each piece is handcrafted so every piece is slightly different and will include a Certificate of Authenticity. This is a great present for the fashion divas you know. Video of Everywhere’s Travels to the Heart of Haiti. Buy It: Shop online for Heart of Haiti products OR find them available exclusively at 25 Macy's stores around the country. The Warrior Bracelet retails for $36. Win It: 1 Whirlwind of Surprises' reader will get the chance to win this gorgeous bracelet. 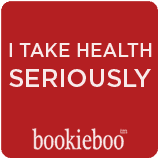 Come back to enter the giveaway! Make it easier on yourself by showing the sponsors some love now: Like Heart of Haiti on facebook. Follow @HeartofHaiti. Hi Cinny! I work for Everywhere helping with the Heart of Haiti account and I just wanted to say thanks for your support! We so believe that every mention, post and email helps! Not to mention, that is one fabulous bracelet. Glad you love it! I checked out their collection at Macy's.com and there is some amazing stuff on there! I have my eye on the Charlotte 1 vase, it's beautiful. Definitely an interesting looking bracelet.